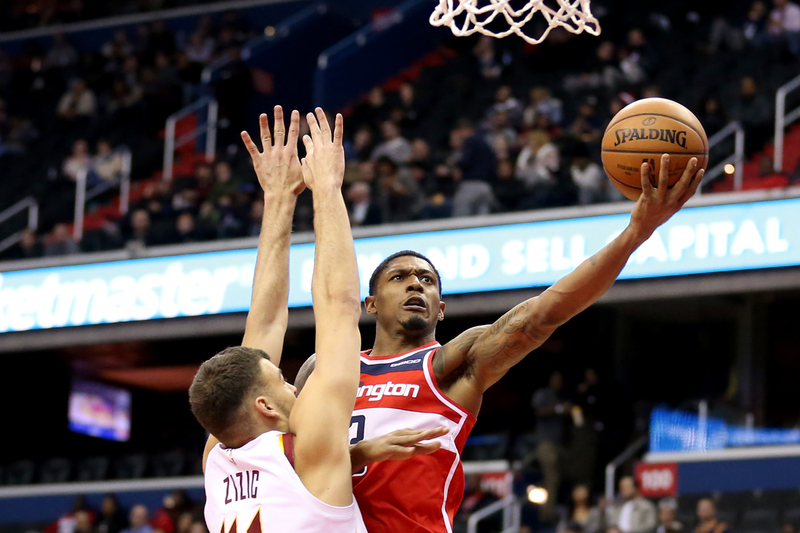 Threes were wild for the Washington Wizards on Wednesday night against the Cleveland Cavaliers, and Bradley Beal’s milestone trey buoyed D.C. to a third straight win. With a third-quarter triple, No. 3 became youngest player in NBA history to drain 900 career threes, doing so in 75 fewer days than J.R. Smith and 195 fewer days than Klay Thompson, the only other players in league history to make 900 treys before their 26th birthday. 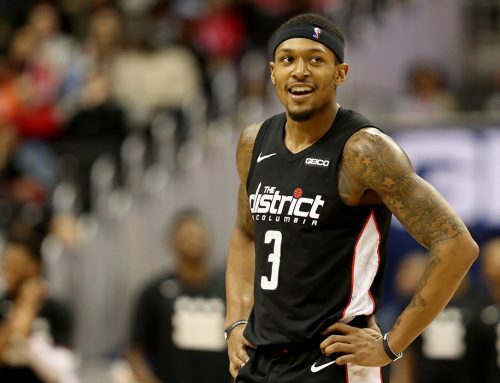 His trio of treys on the evening contributed to a 20-point night that also saw the seventh year pro grab three rebounds and three steals and dish out three assists as the Wizards cruised to a much-needed comfortable victory. Afterward, it was that victory, and what the Wizards did as a team to obtain it that had BB excited, not his milestone marker. The Wizards led from start to finish on Wednesday, racing out to an 11-4 lead with 8:49 left in the first before No. 3 nailed his first shot attempt of the night, a corner three. Brad scored eight of his 20 points in the first quarter, thanks to a pair of corner threes from opposite ends and a thunderous two-handed dunk in transition. No. 3 also managed to assist on a couple big dunks by D.C. newcomer Dwight Howard, though he admitted after the game that two are still working on their alley-oop timing. 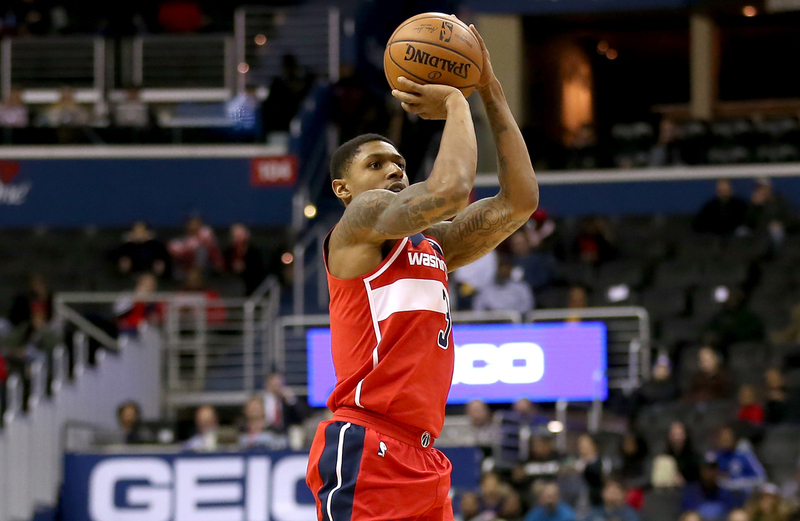 With eight points from BB, a pair of buckets from Howard along with nine points from Otto Porter and eight from Markieff Morris, Washington posted a season-high 41 first-quarter points and continued to roll in the second. With his team up 25, 59-34, Brad added to his tally thanks to a driving floater a foot inside the free-throw line. Then with 29 seconds left in the half, he added two shots from the foul line to finish with 12 in the first half. The Wizards enjoyed a 73-52 lead heading into the second half. Then, just minutes out of the halftime break, No. 3 made history with 10:12 left on the clock in the third quarter. After receiving a scoop pass from John Wall at the top of the three-point line he fired off a trey and sank it for his 900th career three. He finished with eight points in the third frame and took a seat on the bench to start the fourth, with Washington ahead by 22. 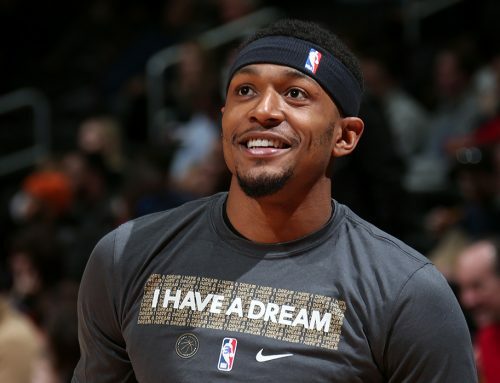 The Wizards bench maintained that lead, allowing Beal and Wall to stretch out on the bench after calling it a night early. 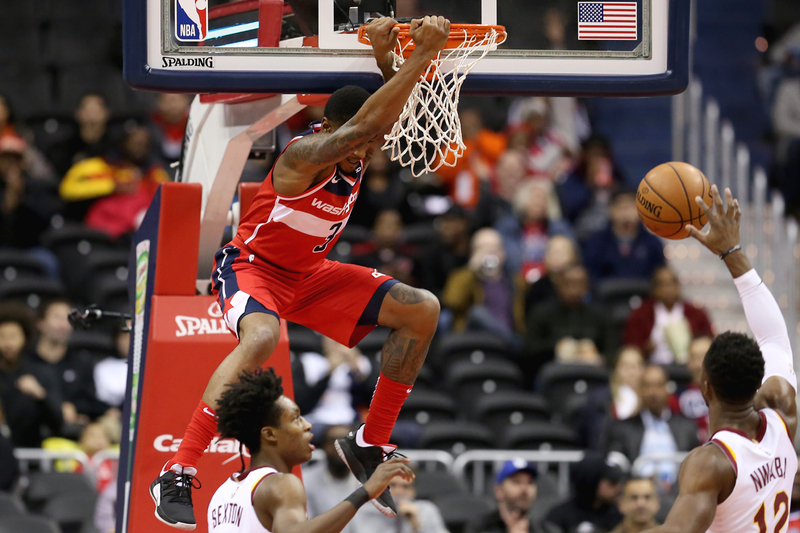 After beginning the season with losses in nine of their first 11 games, Washington appears to have found a groove and after Wednesday’s win, the Wiz boast the longest winning streak in the Eastern Conference. Nevertheless, the Wizards still sit four games under .500, 11th overall in the Eastern Conference and Brad knows there’s room for improvement. 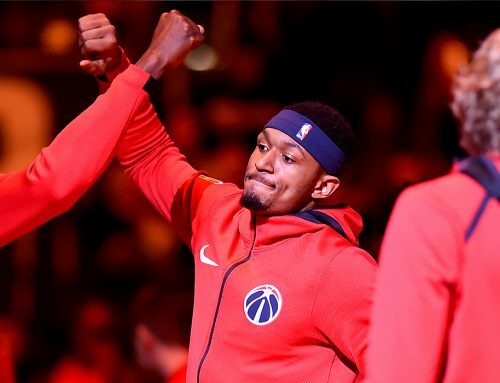 The Wizards look to continue their winning ways Friday at home against the Brooklyn Nets, a team half a game in front of them in the standings. Tip-off is slated for 7 p.m. ET and the game can be seen on NBC Sports Washington.